Joakim Jerbrant, Chief Architect IT, Swedavia, Sweden. As Chief Architect IT and Head of Architecture, Joakim has overall responsibility for the IT architecture at Swedavia Airports. He is the Chairman of the Architecture Board, member of the IT executive management team and reports to the CIO. 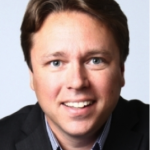 Joakim has more than 20 years of experience within the IT industry in different managerial and expert positions. He has also been Chief Architect and developer of Online Banking systems at a leading bank in northern Europe. Joakim is a member of the thinktank Duqtor, co-writer of a book about architecture capabilities published by Iasa Sweden and has given several guest lectures at the Royal Institute of Technology and European Institute of Innovation & Technology (EIT). Peder Blomqvist, Information strategist change catalyst and senior advisor, representing LFV Research and Innovation, Sweden. Peder Blomqvist Senior strategic Information Management strategist. 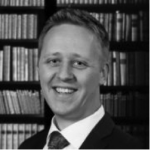 He has worked in several Swedish governments and international expert groups acting as an executive coach, CIO strategist, and expert advisor both within civil and military programs and organisations like European commission, SESAR Joint Undertaking, NATO, European Defence Agency, Swedish government and agencies amongst others. NORACON: European ANS providers: Austro Control (Austria) and the North European ANS Providers (NEAP) including AVINOR (Norway), EANS (Estonia), Finavia (Finland), IAA (Ireland), Isavia (Iceland), LFV (Sweden) and Naviair (Denmark) Services. Niklas Häggström, Senior Enterprise Architect, Knowledge agency Europe AB, Sweden. Niklas Häggström is a senior Enterprise Architect with more than fourteen years specific experience from model-based architectures using UML based NAF/MODAF frameworks in complex environments. He has been actively involved in ATM since the initiation of the SESAR program where he has been one of the main contributors to the development of EATMA. 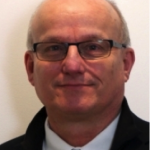 As a LFV/NORACON representative he has been a member of the WPB.4.1, WPB.4.2 and WP8 projects in SESAR in which he has helped create the EATMA framework and the technical and service architectures.